Two princely State of Gangapur and Bonai constitute the present district of Sundargarh, consequent upon merger of the princely States in 1948. It is understood that the district comprised in ancient time, the territory of South Kosala. However, divergent views are available regarding the origin of the ruling family. But these ex-states were once under the suzerainty of Sambalpur, which formed part of the dominion of the Marhata Rajas of Nagpur. They were ceded to the British Government in 1803 by the Marhata Chief R Aghuji Bhonsla of Nagpur under the treaty of Deogaon. But they were restored to him by special engagement in 1806. They were finally ceded in 1826. 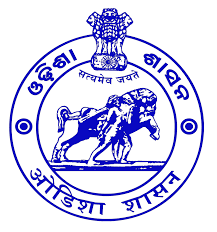 In 1905, they were transferred from the control of the commissioner of Chhotanagur to that of Odisha and a separate Political Agent was appointed. Geographically, the district is not a compact unit and consists of widely, dissimilar tracts of expansive and fairly open country, dotted with isolated peaks, inaccessible forests, river valley and mountainous terrain. Broadly speaking it is an undulating tableland of different elevations broken up by rugged hill ranges and cut off by torrential hill streams and the river lb and Brahmani. The general slope of the district is from north to south. There is a open well-cultivated plain country along the valley of the lb river particularly in the south. The rest of the Sadar sub-division consists of undulating table-land about 700 ft. in average height, dotted here and there with hills and peaks rising to about 2000ft., in the western most tracts at Hemgiri P.S. in the north there is a gradual rise to the table-land of Chhotanagur. The portion occupied by Bonai sub-division to the southeast has rugged forest and hills intersected by gorges and passes and having a narrow valley of the Brahmani River and its tributaries. For a short spell of time during the rainy season the rapid current of the hill-streams cut off communication. The east and west of the brahmani valley is filled with high range of mountains, ft.) Chheliatoka (3331 ft.) and Bichakani (2964 ft.) in the east. The last hill has acquired importance as it contains million of tonnes of iron-ore for use in Rourkela steel plant. The territory of Sundargah and Panposh sub-divisions comprising the ex-states of Ganagpur is about 700 ft. above the sea level. Bonai sub-division comprising ex-State of Bonai is about 800 ft. above the sea level. The forest of the district is of northern tropical dry deciduous type, mainly containing Sal, Assan and Kurum. The eastern half of Bonai and Rajagangapur contain better quality of vegetation. The forest area is mostly studded with rich mineral deposits, like iron ore, manganese, limestone, lead; also forest products like bamboo, timber and kendu leaf which are export-oriented. The district was a very inaccessible tract having no proper communication. The tribal people living in the area used to subsist for the most part of shifting cultivation which resulted in denudation of forest The forest occupy an area of 3534.92 sq.kms which includes 2664.64 sq. kms. under reserved forest and 612.07 sq.kms. under protected forest. The forests are of northern tropical dry deciduous type. Sal is the dominant species. The eastern half of Bonai contain better quality of vegetation. There are many historical places in the Sundargarh District like Rourkela, Vedavyas, Manikmoda, Mandira Dam, Ghogar, Khandadhar, Bangirposi etc are the important historical places of the District.The district lies in the north western portion of the State.It is bounded on the north by Jharkhand State, on the south by Jharsuguda, Sambalpur and Deogarh districts, on east and north-east by Keonjhar and Paschimi Singhbhum districts of Odisha and Jharkhand, on the west and north-west Raigarh district of Chhatisgarh. The district lies between 21 degrees 35’ N and 22 degrees 32’ N latitudes and between 83 degrees 32’ E and 85 degrees 22’ E longitudes. Area of the district is 9712 sq. kms. The district headquarters is located at Sundargarh.